The motor milestones that occur during your baby’s first year may seem unrelated to one another, but in fact they happen in sequence. Their development of these skills usually progress from head to foot, with skills involving the head and arms before those that involve the legs and feet. Motor control starts from the center of the body outward, meaning that your baby will be able to control his/her midsection before being able to move their fingers and toes. During the first six months, your newborn starts to view his/her world. When her own fist gets in her sight, she can help but wonder what this strange object is. By extending her arm in front of her when she turns her head side to side, the tonic neck reflex creates many opportunities for her to study her own hand. At the age of 3 months, she observes things without touching them. When she feels something, she will turn her head to see what it is. If she finds it interesting, she will reach out to learn more about it. When she tries to have hand contact, it consists of broad swipes. Her arm moves as if it were a wooden bat. She will beat at objects and swing her arms over and into them. After this period, she will begin attempts to reach out and touch an object with one or even both hands. She might glance between herself and the object. The baby might close her fist before she reaches the object. When you hand your child a toy, she might not be able to grasp it because she is too curious or she simply can’t hold onto it. You must allow your children to practice hand-eye coordination because it is very important for her development. Between 4 and 6 ½ months, she will master the skill of being able to lift her hand and grasp an object smoothly. 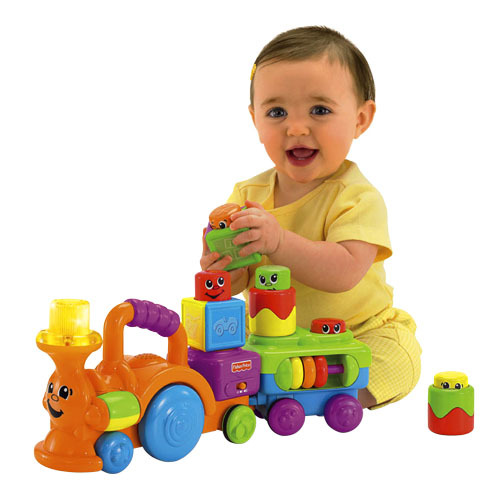 When your baby is six to eight months old they will explore everything in sight with his/her eyes, hands and mouth. She will use her hands as she looks at an object and she will question what it does. For example she might bang two objects together because she is curious. Your baby will hold an object, study it and then pass it to the other hand. At this time, most babies can let go of an object. They might let go awkwardly and not smoothly, but they are able to do so. Your baby may be interested when the object falls so they will do it again and again. For quite awhile she might drop an object to get enjoyment out of it and then she relies on you to give it back to her so she can try it again. 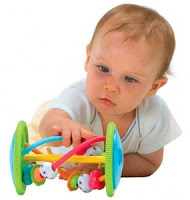 When your baby reaches the age of eight to fourteen months, your baby may spend minutes examining small objects. She learns by using her index finger to poke and push and separate items. Instead of grasping with her whole hand, she will use her index finger and thumb to pinch and pick up tiny things. At first this “pinch” might be hard, but she will gain this skill. Over time she will be able to pick up multiple small objects. To entertain your baby, you can lay out beads on the floor and let her examine, question and play with them. Watch her carefully so that she doesn’t eat them, but allow her to play and practice this motor skill of picking small items up. Before this research project was assigned, I didn’t consider how or when we develop our motor skills. Once I read and learned about the ages we figured out to move and use our body, I was surprised. I never thought that it took so much time to learn how to do the things we easily do every day. It’s weird to realize that at some point, all of us were not able to grasp and object. We studied and questioned everything that came into sight. Our body was a foreign object to us and we had to learn (on our own) how to develop these motor skills. Repetition is key for your developing baby. One thing that I found fascinating was that babies begin to vocalize at the age of 1 month. They cannot fully speak, but they will hear their own voice and try to discover how they can express themselves. This assignment really gave me a good understanding on the meaning of motor skills and how long it takes for children to develop the easiest skills. Choice of Topic: I liked the topic a lot. It was very informing and interesting. As well as enjoyable. Well-Written (Original) Essay: It was well put together and organized. Appropriate / Relevant Pictures: I really liked the pictures because they were relevant to the motor skills of a child. Formatting (Text & Pictures): The formatting was really well done, and I liked how the pictures were in the essay. Working Links: All the links worked well. Visually Appealing: Essay was really well organized. I liked how it was put together in different sections. Good Labels (i.e. “baby, babies, SIDS, causes, facts, medical”): Had very relevant labels to the essay. Recommendations for making the essay better (spelling, grammar, pictures, facts, etc. ): I really how no recommendations because she really got all the information down. How did the essay change your views about the topic? The essay showed me how a baby's motor skills change throughout their first months. # Choice of Topic: It is something that people who have children need to know about to make sure that their kids are on track. # Well-Written (Original) Essay: It was an original essay I think she did very well writing it. # Appropriate / Relevant Pictures: The pictures were very appropriate to the topic. # Formatting (Text & Pictures): She put the pictures in good places throughout the essay. # Working Links: Her links worked very well to give more information when clicked on. # Visually Appealing: The way the essay was written and the way it was put together was very well and I liked it. # Good Labels (i.e. “baby, babies, SIDS, causes, facts, medical”): The labels were good and related to the topic. # Recommendations for making the essay better (spelling, grammar, pictures, facts, etc. ): Her essay was great and I wouldn't change it, it is put together good. # How did the essay change your views about the topic? 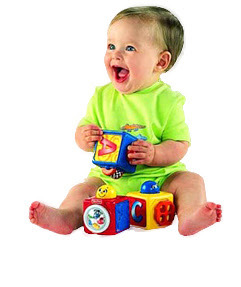 : Now I know how babies motor skills improve over time and progress.